UFC Hall Of Famer BJ Penn is making yet another return to the Octagon. 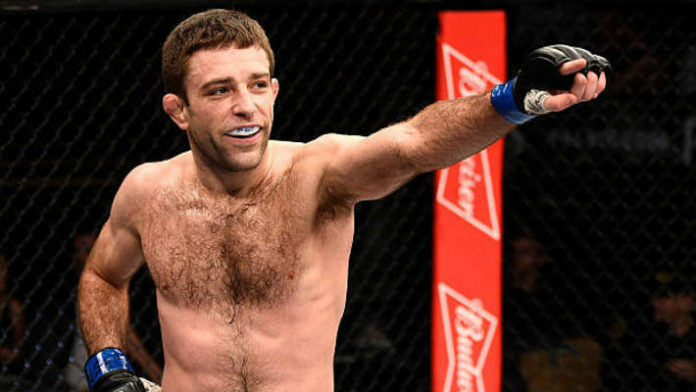 It has been announced that Penn will return against submission specialist Ryan Hall. Hall, a former Ultimate Fighter winner, hasn’t competed in nearly two years. BJ Penn is a decorated Brazilian jiu-jitsu black belt in his own right. This will give Hall the opportunity to truly test his ground skills in MMA. Hall is a former World Jiu-Jitsu Championships, European, Brazilian and national championship gold medalist. Hall was recently a guest on The MMA Hour. “I am not the least bit afraid of anyone on the ground. That doesn’t mean that people aren’t dangerous. Again, being better or worse doesn’t win, you know. I have won plenty of times when I have not been the more technically precision or the more experienced person.